If you ask most people to point North, they would point in the direction that a normal compass would point, i.e. the direction you would need to take along the surface of the earth in order to get to the North Pole. However, you also need to point down into the ground, in order to indicate the direction of the magnetic North Pole; and of course the angle that you need to point down will depend on your latitude. The 3D Compass is a clever little device that follows the earth's magnetic field in three dimensions. It shows what a 2D compass does not - the inclination of the field! 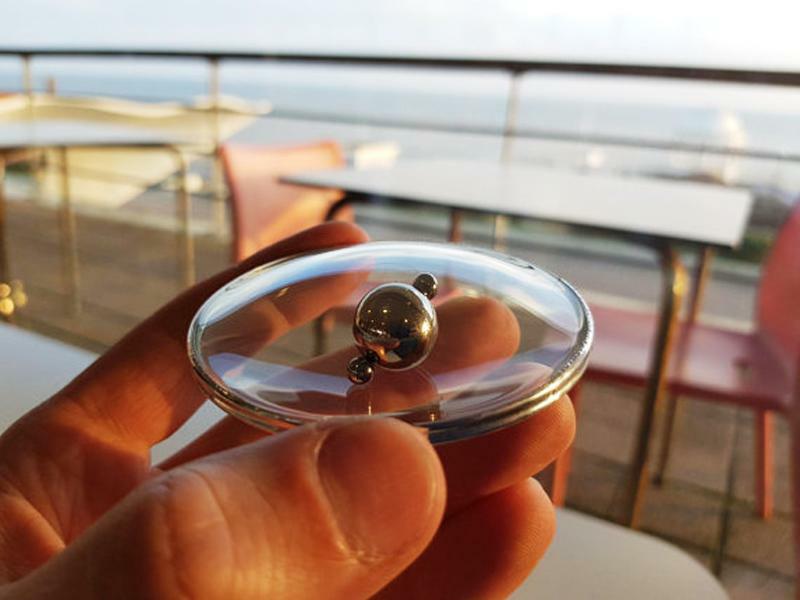 The compass is made from Neodymium magnets, encased in a domed glass housing.